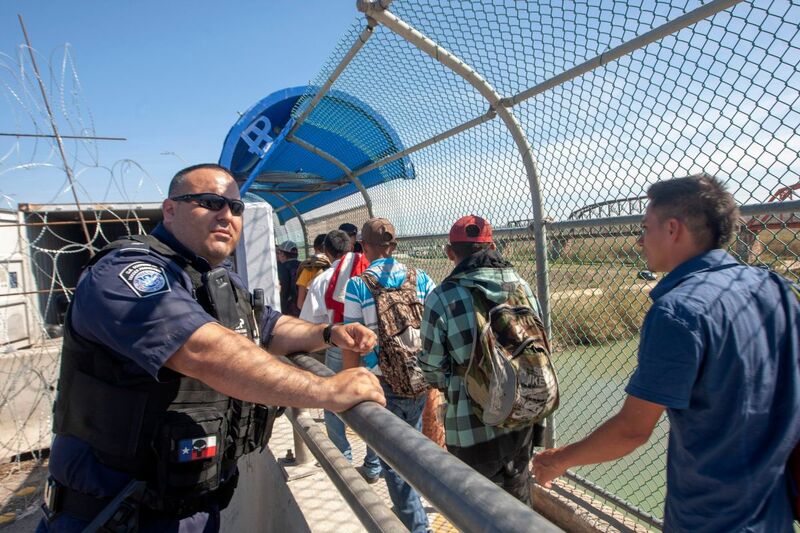 Sixteen Central American migrants cross the International Bridge II to be interviewed by U.S. immigration authorities and have the possibility of receiving asylum, in Piedras Negras, Coahuila state, Mexico, on the border with the U.S., on February 16th, 2019. Yesterday, as President Donald Trump mocked asylum seekers and threatened to close the Mexican border during a campaign speech in Michigan, the secretary of the Department of Homeland Security sent a letter to Congress asking for the ability to do what the Trump administration has long wanted to do: keep families in detention indefinitely. Secretary Kirstjen Nielsen, the face of the administration&apos;s border enforcement regime, told lawmakers that she planned to send them "proposed legislative language" that would let Congress pass laws allowing the DHS to "keep alien families in custody together through the immigration process." 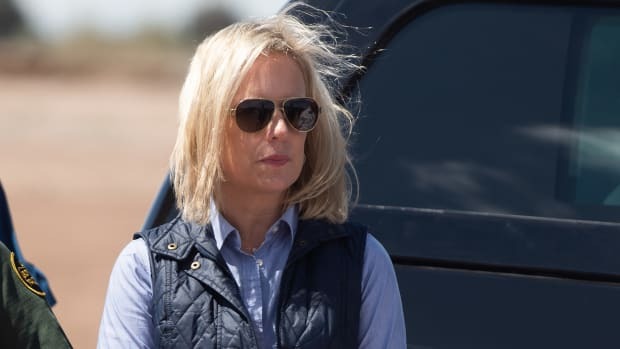 Though Nielsen framed the legal change as a way to keep families together, what she&apos;s actually asking for is the ability to keep families in detention indefinitely—something that current federal statute prevents the Trump administration from doing. Since 1997, the Flores Settlement Agreement has placed a 20-day limit on how long children can remain in immigration detention. (Experts have long warned that even short-term detention can have significant long-term health effects for minors.) In 2015, the Obama administration tried to spin an exception to the rule by detaining children along with their parents. But the courts ruled that the 20-day limit applies, even when children are with their families. What does this mean for immigration enforcement? 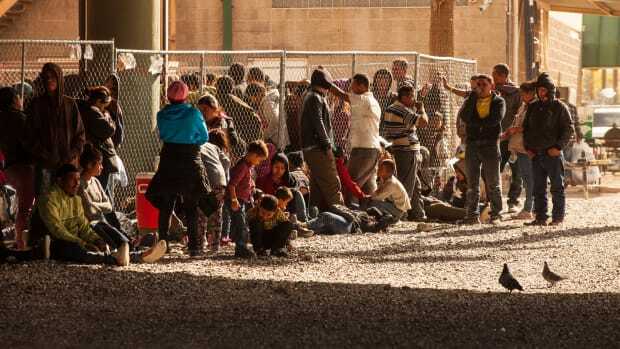 The Trump administration, like the Obama and George W. Bush administrations, remains committed to the thesis that every person caught crossing the border should remain in detention until the end of their legal proceedings. The idea is that guaranteed detention is a necessary deterrent to discourage immigration. But the Flores statute means that Trump has to release families before a judge has decided whether or not they can stay in the country. Since public outrage forced Trump and Nielsen to abandon family separation, they&apos;ve been searching for ways to guarantee that families remain in detention prior to a final decision on their immigration cases. Nielsen&apos;s letter to Congress is the latest push to do so. How long will families need to wait in jail? For some, the wait could last months or years. This is because many of these families are not fighting deportation orders, but rather are awaiting the outcome of their asylum cases. 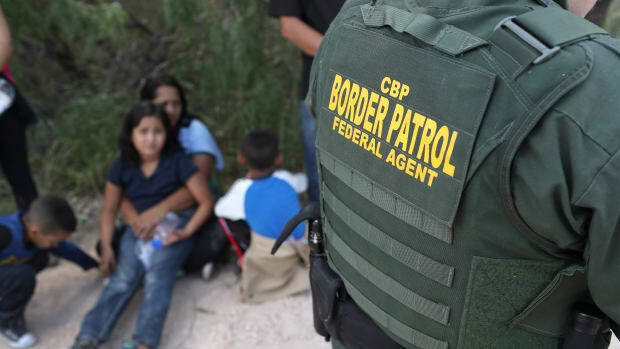 In the past, most people who ended up in Customs and Border Protection detention were single men from Mexico, trying to get across the border to find work in the United States. 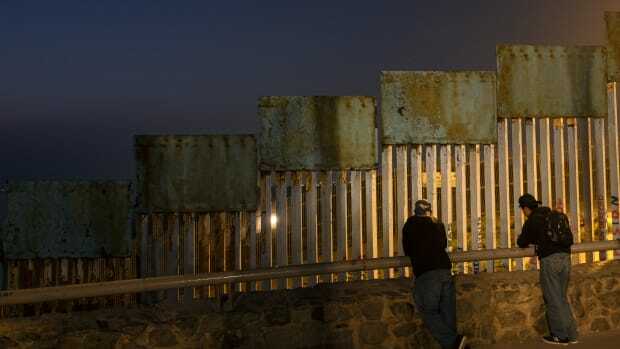 Today, however, the number of Mexican "economic migrants" has plummeted to historic lows—instead, the people on the border are now mostly non-Mexican, and many of them are asylum seekers fleeing Central America along with their families. 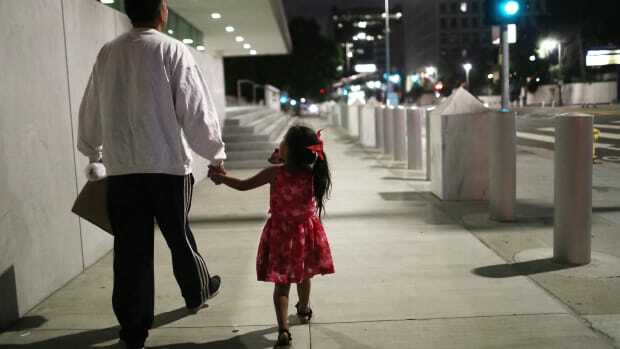 Since last fall, the majority of people apprehended crossing the border have been families. Many of these families are seeking asylum. In other words, they have not come just to look for work—they&apos;re not "economic migrants." Instead, they claim to be refugees, fleeing death, injury, and loss of liberty in their home countries. Most of these families are not trying to sneak into the country. They are either presenting themselves at official ports of entry, or crossing and immediately surrendering to Border Patrol so that they can ask for asylum. Even though countries like El Salvador, Honduras, and Guatemala are some of the most dangerous in the world, the Trump administration treats every asylum seeker as an illegal immigrant who is simply trying to claim refugee status. In his speech on Thursday, Trump did a mocking impression of a Central American man telling Border Patrol he wanted to claim asylum: "He&apos;s afraid for his life. It&apos;s a big fat con job, folks," Trump said. This is why the Trump administration wants to detain asylum-seeking families indefinitely: Trump and his allies believe that Central American families are arriving at the border and claiming asylum because they know that U.S. law—namely the Flores settlement—will let them be released before a judge makes a ruling on their asylum case. Trump has expressed concern that, once released, the families will disappear into the country instead of making their court dates. In fact, data reveals that most immigrants—about 75 percent—make their court dates. Asylum and refugee law is immensely complicated, and the backlog of cases means that most people asking for asylum today will not get a final decision for at least six months—and the process has sometimes lasted up to five years. Some attorneys worry that people entering the system today might not have a ruling until 2025. If the Trump administration is successful in skirting Flores, Central American families could be detained for the duration of their legal proceedings, potentially for years at a time.